For some reasons I missed joining any of the weekly colour meme last week. I was engrossed for my late Christmas shopping, gift wrapping and doing online tasks. I really thought I could not join this week too but gladly I login to my FB account while chatting to my love so I found out that the Pink Fridays is up, already. It’s the last Friday of year 2011 and I won’t miss it. Anyway here are the photos I am going to share. 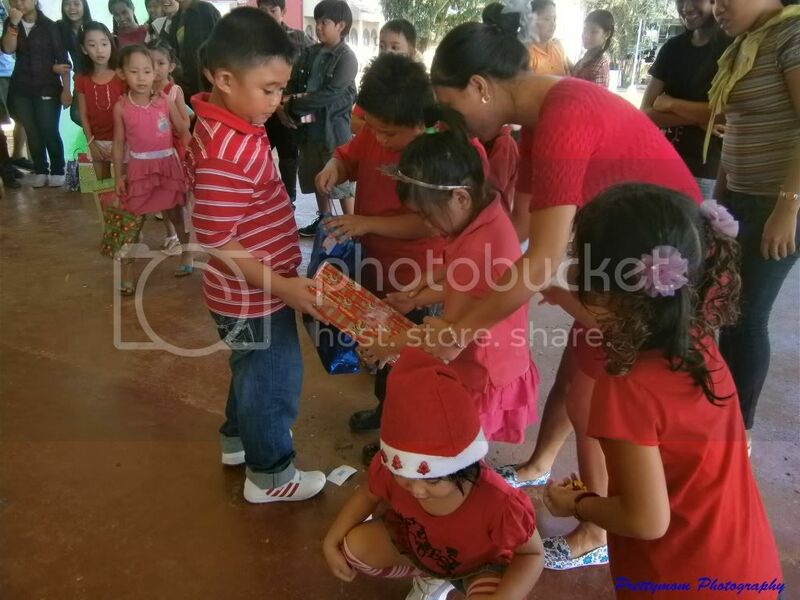 The photos were taken during the school Christmas Party of the little one. 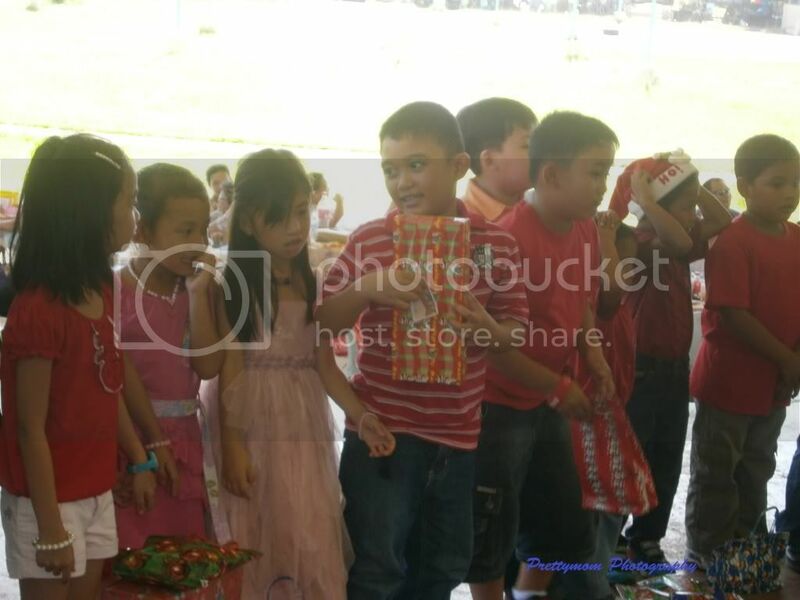 The little tot chit chatting to his classmate before the exchange gift start. If I am right one of his classmate asked him what is his gift to his Manita and since I was few steps away heard when he disclose his gift. Kids sometimes don't know how to keep a secret, LOL. Giving his gift to his shy Manita. I saw it when the little girl opened the gift. I smiled when I saw the little girl smile when she saw what's inside the gift. It's a Barbie doll. As for the little tot he got an Angry bird shirt but unfortunately it's doesn't fit him. He is keeping the shirt for remembrance. I also noticed that Angry birds stuff dominated this year. I've seen some kids holding many kinds of Angry birds things. awww! it looks like your son had a wonderful time with his friends on the Christmas party Mommy. Returning the visit for Pink Fridays. I do appreciate your visit too. Just cute! Visiting from PF! Visiting for PF! Here's my share- hope you can visit too.. I see a lot of fun in your photos! Nice! Christmas parties are always fun! late visit from PF..
Christmas party for kids is a great and memorable experience for them!!! the excitements in their faces while opening their nicely wrapped gifts! too bad his present didn't fit him and that's nice that he is going to keep it. Hope to see you in my Pink entries one and two. Happy New Year!